South Yorkshire Energy Centre is an education and visitor centre based at Heeley City Farm. The Centre demonstrates a wide range of energy efficiency measures, renewable technologies and sustainable building methods. SYEC's aim is to help people keep warm, keep well and save money by offering: • Free, impartial advice and information on making homes energy efficient (and therefore cheaper to run) and reducing bills. They can also provide support on switching energy supplier and signpost to grants and discounts available. 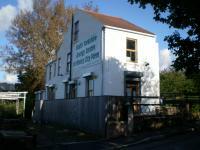 South Yorkshire Energy Centre is an education and visitor centre based at Heeley City Farm. The Centre is an eco-refurbished, solid-walled, terraced house which demonstrates a wide range of energy efficiency measures, renewable technologies and sustainable building methods. • Free, impartial advice and information on making homes energy efficient (and therefore cheaper to run) and reducing bills. They can also provide support on switching energy supplier and signpost to grants and discounts available. • Organised visits to the Centreproviding educational sessions and guided tours for groups, schools, colleges and universities. • Outreach visits to community groups and events to deliver energy saving talks and advice. In the centre there is lots of information and inspiration about what you can do in your home. You can see the different insulation measures available to make homes warmer and find out more about renewable energies such as solar power. There are interactive displays including wind power, domestic heat models and fun activities – come and have a go on the Human Power Stations to generate your own energy. SYEC also have free tips and factsheets to help reduce energy costs and their friendly staff and volunteers are available for in-depth advice. SYEC also offer advice and support to those who are struggling to pay their fuel bills, managing fuel debt or living in cold, damp homes.